Sichuan University Engineering Design & Research Institute Co. Ltd., in the charge of Sichuan University, was established in 1985. It is a comprehensively designed research institute approved by the Ministry of Construction with qualifications of constructional design, municipal engineering, highway engineering, hydraulic engineering, hydro-power engineering, chemical engineering,landscape architecture, urban and rural planning design as well as general contracting of water conservancy and hydro-power construction. It also holds National qualification certificates which are issued by Development Planning Commission for consulting construction, hydro-power, chemical engineering, highway and municipal public engineering. Our institute consists of a construction engineering design institute, a water conservancy and hydro-power engineering design institute, a municipal engineering design institute, an urban and rural planning and design institute, a professorship workshop of urban and rural planning, a highway engineering design institute, a chemical engineering institute, an ecological and environmental protection engineering center and other production institutes. It also set some research institutes such as the Economic and Social Development Research Center, the Rural Revitalization Research Center, the Green Building Research Center, the Digital Architectural Design Research Center, the Smart City Joint Research Center, the Urban Design Research Center, the Collaborative Innovation Center for Construction Technology, the Water Conservancy and Hydro-power Engineering Research Center, etc. Professional institutions and research centers cooperate with one another and also carry out activities independently. For more than 30 years, our institute has more than 400 various core technical personnel, more than 35% of whom are doctors (post-doctors), have senior professional titles or are registered personnel. We have completed a large number of domestic and international engineering construction projects of planning, surveying, designing and general contracting of construction, ranging from the southwest area to the southeast Asian countries. At the same time, we also obtained significant achievements in the fields of soft science research, engineering general contracting, water conservancy and hydro-power engineering, construction engineering as well as ecology and environmental protection engineering, winning a number of national and provincial-level design awards and participating in compelling multiple industry technical standards. The development vision of Sichuan University Engineering Design & Research Institute is to develop its diversification and improve its specialization. 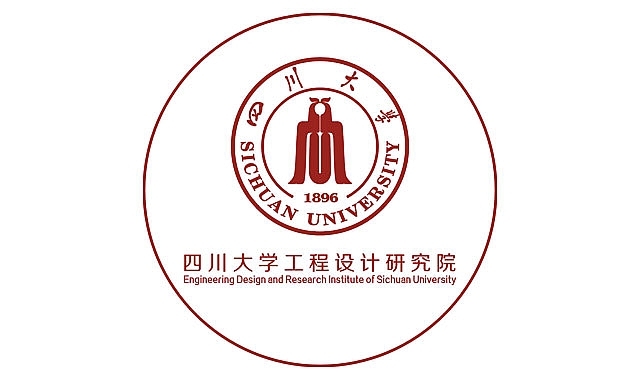 Besides, through faculty integration and subject linking, it wishes to rely on Sichuan University’s strong comprehensive scientific and technological strength and powerful human resources to establish an institution that provides integrated vertical overall solutions including consulting economic and social development decisions, consulting engineering construction project design, frontier researches and so on. Furthermore, it plans to become a first-class production-competitive, scientific research-based and comprehensive service-oriented Design & Research institute with Sichuan University's dominant disciplines characteristics and style, which can further become Sichuan University's scientific research achievements’ horizontal transformation base and high-level industry-university-research platform. The style of Sichuan University Engineering Design & Research Institute is to inherit the famous “double-top” universities—the unique genes of Sichuan University, the brand of centuries-old school, the rigorous research traditions, the realistic and scientific style, the rigorous engineering awareness and the constant pursuit of continued pursuit of innovation. It creates a “Centennial Sichuan University, Excellent Design” brand and focus on pragmatism as well as innovation, with the goal of customer satisfaction, employee development and social progress.